Regardless of the size of your estate or the amount of your assets, protecting your wealth is always a concern. This means being able to protect your assets from creditors or other types of liability. 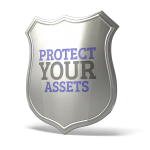 There are different asset protection strategies available for those who want to protect as much of their estate as they can for their families. An asset protection trust is one great strategy for you to consider. When Should an Asset Protection Trust be Created? If you are wondering when to establish an asset protection trust? 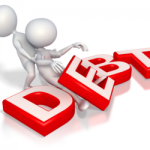 Typically speaking, you should start asset protection planning before your creditors start making claims against you. While there are several strategies for protecting your assets, many are not effective if your creditors have already made a claim against you, or some other financial liability has arisen. The reason is that, if you transfer your assets after a claim has been made, the transfer may be considered fraudulent. To put it another way, courts will likely determine that you transferred your assets in order to avoid paying your debt. For this reason, an asset protection trust is a great choice. When it comes to easy and comprehensive asset protection, an asset protection trust is a good choice. How does a trust provide asset protection? 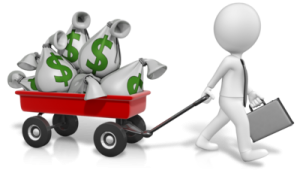 Essentially, when you transfer your assets to the trust, they become the property of the trust and are removed from your estate. That means they are beyond the reach of anyone with a claim against you. They are also no longer subject to estate taxes. There are numerous types of trusts and they are all customizable, so you should go over your options with your asset protection lawyer. Irrevocable trusts are the best types of asset protection trusts. The assets that are included in an irrevocable trust are permanently transferred into the trust and this transfer of ownership cannot be revoked. There are different types of irrevocable trusts, but all of them require the person who creates the trust to relinquish their control and ownership of the trust property. Some states, including California, allow for certain limited modification of an irrevocable trust, in specific situations. While an irrevocable trust is considered less flexible, there are definitely huge benefits to creating such a trust, and to giving up control of your assets. In most cases, clients create irrevocable trusts in order to avoid estate taxes on the property in the trust. This also serves to eliminate the income generated by the trust assets from your personal income, which is beneficial for tax purposes. Ultimately, because trust assets are not required to go through probate, they can be distributed to the beneficiaries more easily and more quickly. 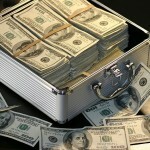 How Do Asset Protection Trusts Work? Basically, in order to obtain true asset protection, your trust needs to be irrevocable. Why? Once your money is transferred to the trust, it is no longer considered your money, therefore it is no longer subject to your creditors. If you still retain the authority to amend the trust and transfer the assets back to your control, then a creditor can still get its hands on those assets. First, the ownership interest you leave to your beneficiary must either be contingent on some future event or be subject to the sole discretion of the trustee. Another option is to include a “spendthrift” provision. This type of language keeps creditors from making a claim against your beneficiary’s interest. Just remember that the assets are only protected as long as they remain in the trust. Once they have been transferred out of the trust, they become subject to a creditor’s claim again. How are Revocable Trusts Different from Irrevocable Trusts? A revocable trust allows the grantor to make modifications to the terms of the trust, or to revoke the trust altogether. This can be done at any time during your lifetime. However, after your death, the trust typically becomes irrevocable. A revocable trust is quite flexible because it can be modified whenever your circumstances change. The trustee of a revocable trust does not take over until your death or incapacity. Why are Asset Protection Strategies Important? California’s Housing Market on the Rise: Do You have Asset Protection Strategies in Place?